The new PS SeriesTM In-Line Strainer for Commercial Pumps is designed to maximize hydraulic efficiencies in commercial aquatic applications and ease installations for pool professionals. The new series of In-Line Strainers comes in three standard sizes to fit with almost any plumbing configuration, and can be modified with reducers to provide greater flexibility for specific applications. The product's design accommodates high-flow performance and comes with an ANSI flange bolt pattern that makes installations easy. It has a 50 psi rating and is NSF listed. SeaKlear® water treatment products is adding a dry pH Reducer product to augment their liquid pH reducer product. pH Reducer is designed to be added to recreational facility spas when the pH level rises above 7.6 ppm. This sodium bisulfate product is safer to use and far less corrosive than muriatic acid. SeaKlear pH Reducer allows other chemicals to work effectively and corrects water conditions to prevent skin and eye irritation as well as to protect spa equipment from damage caused by scale build-up. This new dry formula will clear cloudy water from high pH. 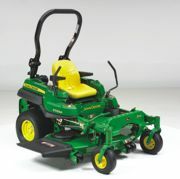 John Deere announced the newest addition to its commercial mowing lineup. The new ZTrak 700 Series, which includes three models, is ideal for entry-level landscape contractors looking for durability and reliability. The ZTrak 700 Series provides a productive zero-turn mower in a less expensive and lower-featured model than the ZTrak PRO 900 Series, recently unveiled. Using a similar steel channel frame and castings as those on the PRO Series, the Z700s feature the proven 7-IronTM II mower deck with mowing speeds up to 10 mph and a 400-pound towing capacity. Chemtrol® has introduced a new line of PPM sensors for direct measurement of free chlorine in water in parts per million (ppm) or milligrams per liter (mg/l). These sensors are very precise and so reliable that they are covered by a two-year warranty. They are easy to install and practically maintenance-free. The PPM sensor can be used alone or in combination with an ORP sensor to give the operator complete control of water quality. For better water management results, it is recommended to use ORP control of free chlorine and PPM monitoring of total and combined chlorine. The Kwik-Can Cover is an innovative new way to cover 33- and 55-gallon barrels. Most metal barrels quickly become dented and rusty, requiring continual maintenance and repainting year after year. Even the newer plastic drums become an eyesore after a short period of time. The Kwik-Can Cover is simply a plastic sleeve that uses elastic at the top and bottom to hold the cover on the can. You simply slide the cover down over the can, and you're left with a clean, pleated look. Available in white, black, royal blue, black and white check and the new patriotic design for 55-gallon cans. The new 33-gallon covers are available in white or black only. Inspired by the Penn ash tower and its inconspicuous applications for urban parks, transit stations and defined smoking areas, Keystone Ridge Designs has expanded the Penn series to include a smart new bench design, an inventive leaning rail and a compact litter receptacle. Offering sturdy, fully welded steel construction, clean lines and a sophisticated appeal, this product series adds a new family of site amenities to an already extensive line of American-made powder-coated steel furnishings. The Dirt Medic infield groomer is specifically designed for use with garden tractors, light utility vehicles and ATVs to fill and level Little League to high school infields. Built with the durability of larger units, the Dirt Medic weighs only 200 pounds and has a 4-foot-wide grooming path with 10-inch pneumatic wheels for easy transport. A single hand crank adjusts both the angle and depth of the harrow teeth and reversible cutting bar from the driver's seat without the need for tools or electrical connections. Optional broom kit creates a smooth, finished surface. 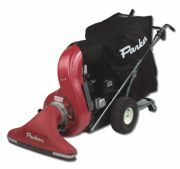 Parker now offers the Vac-35® Litter Vacuum, designed to pick up plastic and glass bottles, debris and cans on turf. It is available in four different models with different engines/horsepower. VAC-35 accessories include hose kits, bags, bag liners, dust covers, chargers, intake housing, scraper brush kits, magnetic rod kits, bag platform, industrial pak floor kits, sulky and pneumatic wheel turf kits. Produced in the Ariens manufacturing facility in Auburn, Neb., Parker Vacuums are available through two-step distribution channels in the outdoor power equipment market.